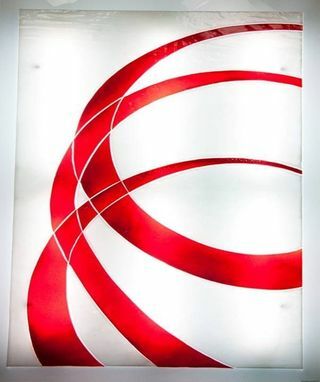 Abstracted geometric shapes evoke a contemporary cathedral window. 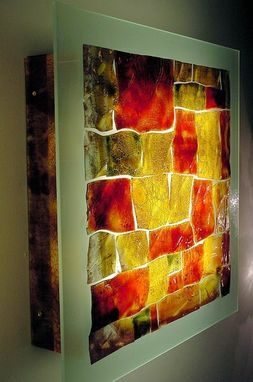 Pieces of handmade glass in various shapes, sizes and colors (according to design specifications) are placed upon a sheet of frosted glass and baked together. 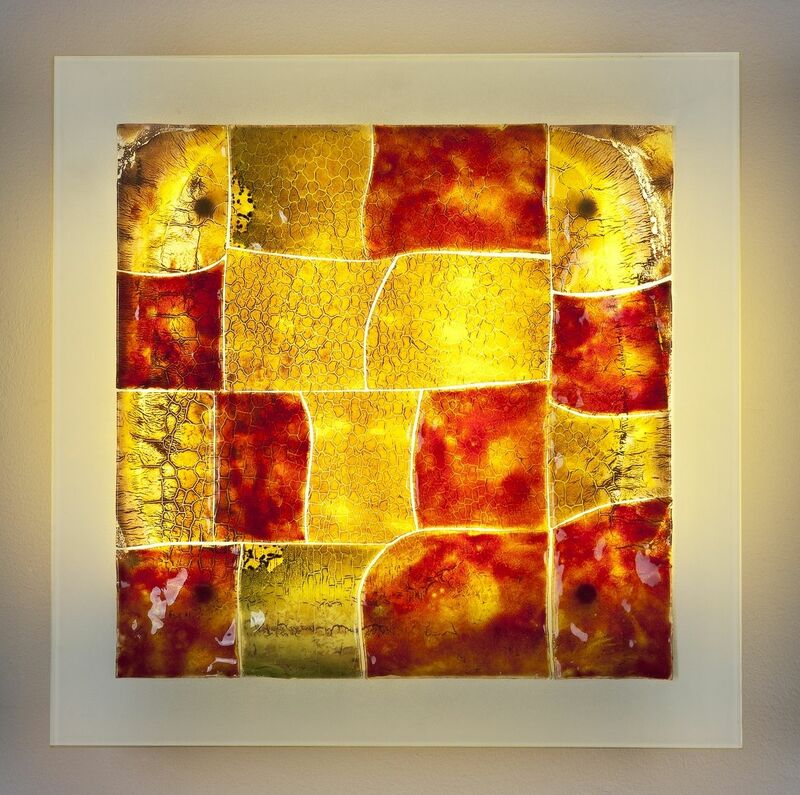 This panel is then placed within a steel structure and lit from behind - the effect is a glowing glass in various hues, reminiscent of glorious flames of fire. 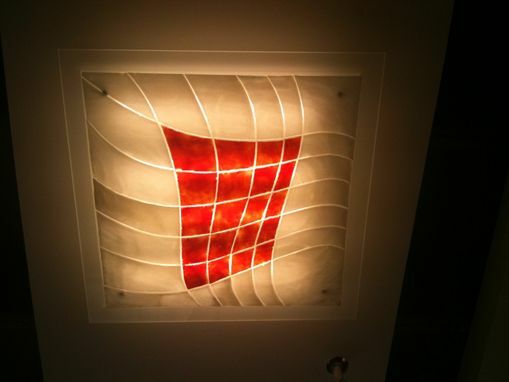 This design can be affixed to the wall or the ceiling.